Ian Lotter has won Free Accommodation 1 time! "I was shocked. Did not believe it as I have never won anything before. I booked on Sleeping Out due to the very competitive pricing and ease of booking with the follow ups. So this is a bonus for me to book again for a bonus weekend somewhere else. Thank you so much"
WHERE? 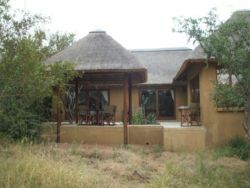 Only a 4.5 hours drive from Joburg, Raptor's Lodge, Hoedspruit is easily accessed in the heart of the bushveld. An ideal Lowveld base from which to explore the rich diversities of the Limpopo Province, you will find the Greater Kruger National Park, the Blyde River Canyon, Moholoholo Wildlife Rehabilitation Center and Kapama Elephant-back safaris and more just around the corner. Eastgate Airport, with two daily flights to and from Joburg, is only 15 minutes away. The small but lively town of Hoedspruit is only 5 minutes away and offers a variety of shops, pubs and restaurants. Hoedspruit has still maintained its refreshing laid-back attitude, making you feel welcome yet far away from the hustle and bustle of the big cities. WHAT? The twenty well-appointed double-suite Lodges are very spacious and offer upmarket self-catering accommodation for up to 80 guests. Each lodge is beautifully decorated in modern bushveld hues, and features over sized baths, outdoor showers and all modern convenience items. The Lodge pool provides a cool reprieve to absorb the majesty of the Drakensberg Mountains. Each Lodge can accommodate a maximum of 4 people in two separate bedroom units - 1 double and 1 twin - each with bathroom en-suite (with over sized bath and outdoor shower), a fully equipped kitchen, a lounge with TV and DSTV and a spacious terrace with separate braai area. WHO? 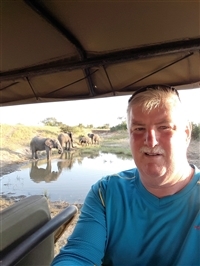 Whether the attraction is wildlife, culture, golfing, birding or just relaxing, the lodges offer ideal getaways for groups of families and friends, corporate incentives and tourist accommodation. Children of all ages are most welcome. Raptor's Lodge offers a variety of (safari) activities in the area, such as Game Drives, Bush Walks, a visit to a traditional Shangaan Village, Elephant Back Safaris, day trips to the world famous Kruger National Park and the Blyde River Canyon (Panorama Route) and more.